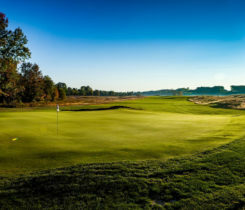 Golf course designer Paul Albanese has designed the club. Seeding of the course was recently completed. “This is easily one of the nicest pieces of property I have ever been involved with, and it has been incredibly interesting,” Albanese says. The land features rolling hills and ridges with views that stretch for more than 30 to 40 miles. 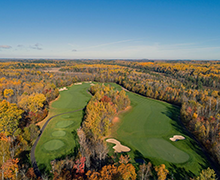 Ron Whitten, architecture editor for Golf Digest, described it as “Nebraska Sandhills with trees,” in his 2014 sneak peak of Best New Courses. Many of the stories include the great buffalo. With this, Albanese opted for literal interpretation. In some fenced in spaces very close to the golf course, great buffalo roam. Ohiya Casino Resort was the first casino in Nebraska, and was developed almost 17 years ago.